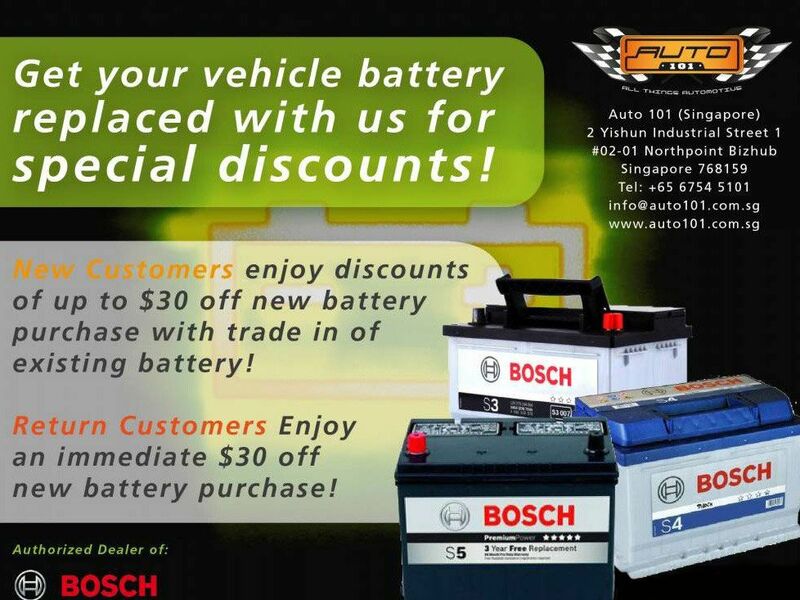 Up to $30 off for new car battery with trade-in, T&C applies. 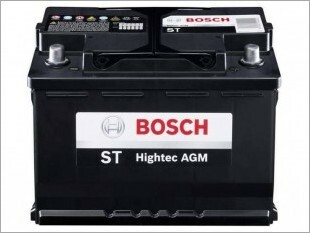 Battery comes with full 12 months warranty for petrol vehicles, 6 months for diesel vehicles (1 to 1 exchange). 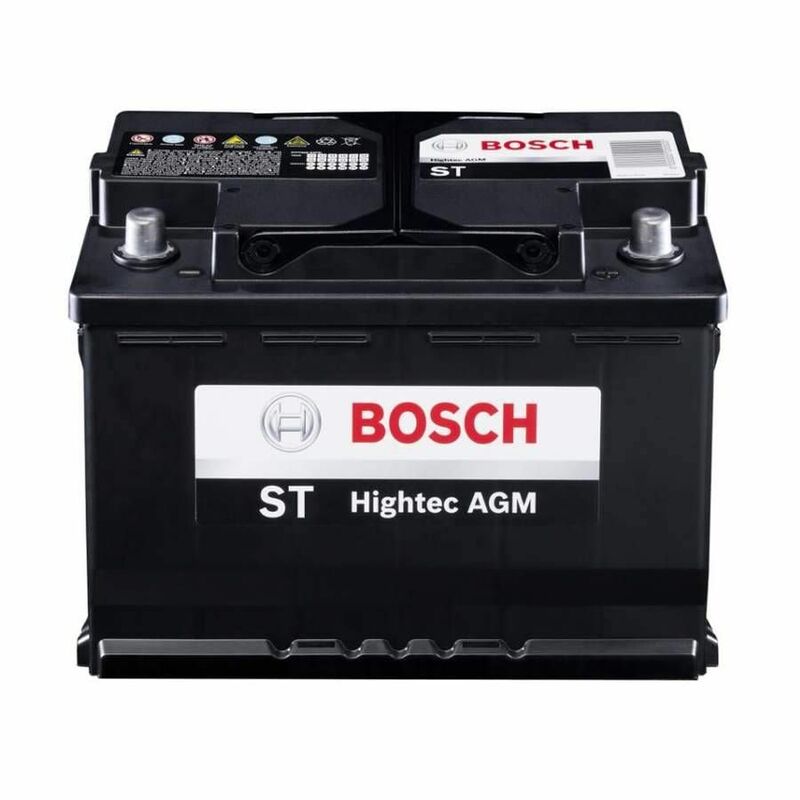 The Bosch ST Hightec AGM Battery: The Ultimate power for cars with Start-Stop Technology. 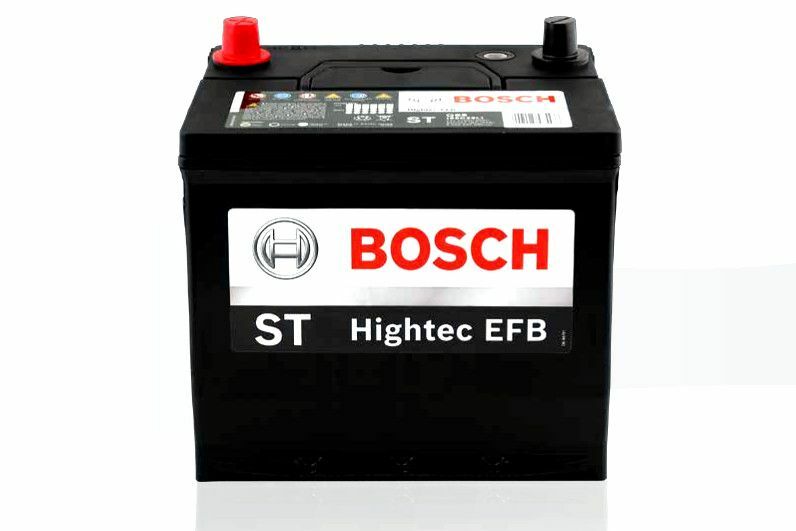 The Bosch ST Hightec EFB Battery: Batteries with Enhanced Flooded Battery (EFB) technology are built for higher performance than conventional flooded batteries and to support entry level start-stop vehicles. Recommended for standard vehicles with high electrical demands as well. EFB technology provides double the cyclic stability with high endurance from deep discharges. 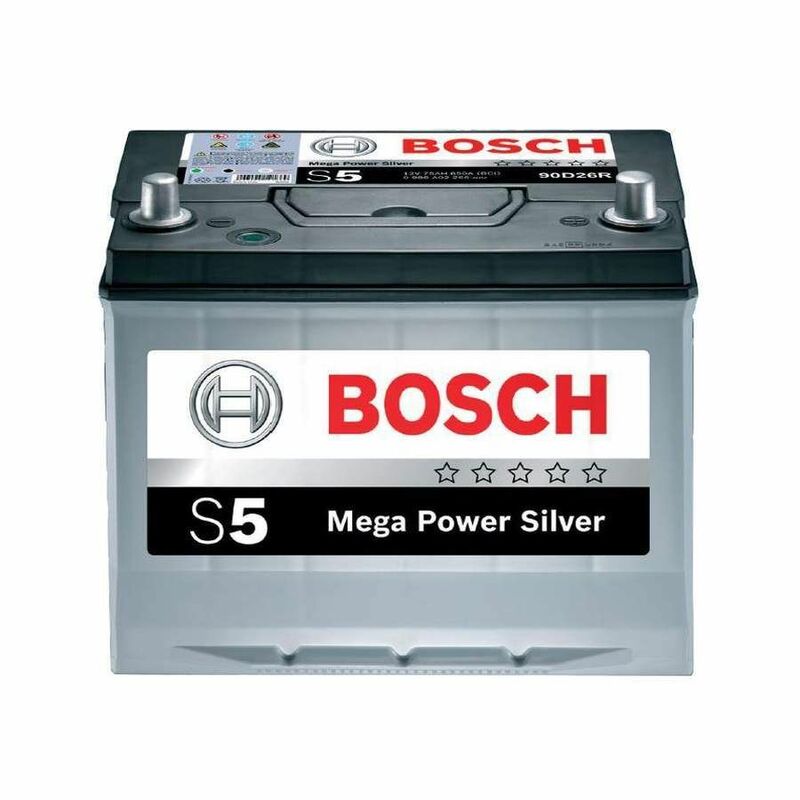 The Bosch S5 Battery: Ideal for vehicles with higher than normal electrical drains. 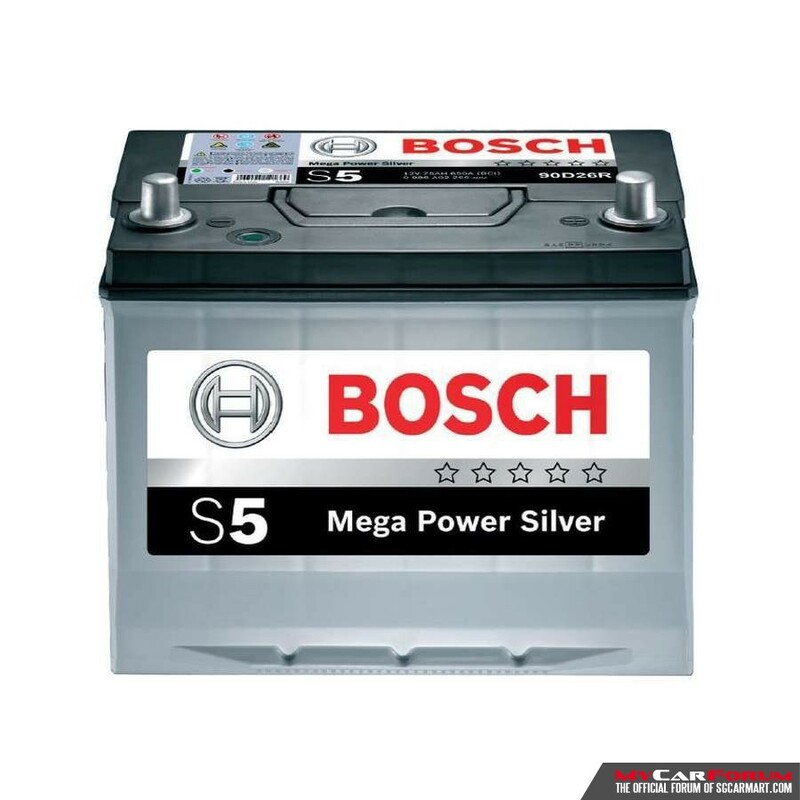 The Bosch S5 car battery is able to offer up to 30% more power compared to the factory fitted battery. because of this it also has up to 30% longer service life. 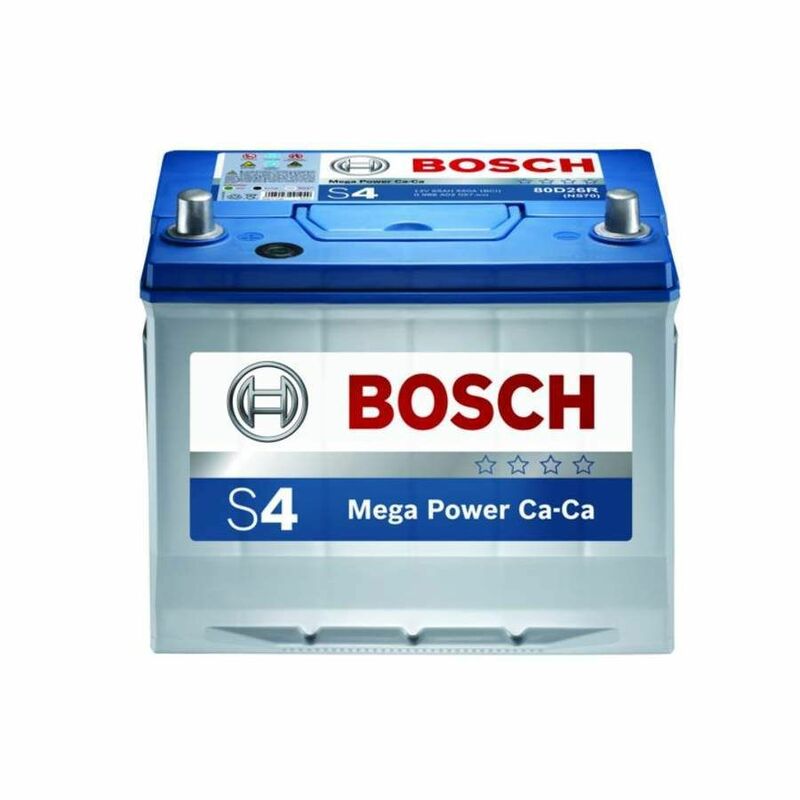 All Bosch S5 batteries are sealed and maintenance free for maximum peace of mind. Auto 101 Recommends Bosch Batteries. 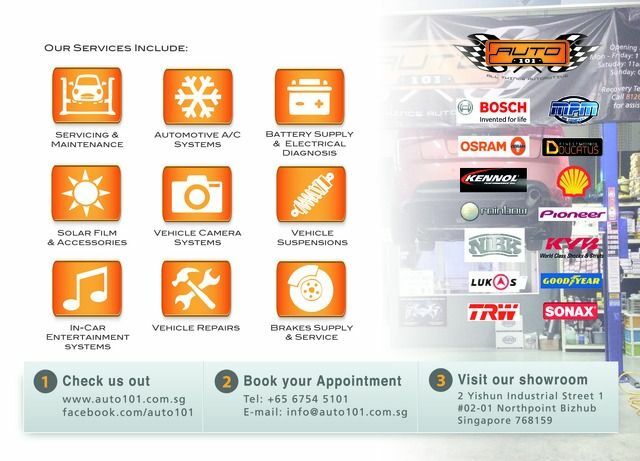 Visit us for the most updated price, as we have various discounts every week. Like us on Facebook and get in closer to our closed door promotions and offers! 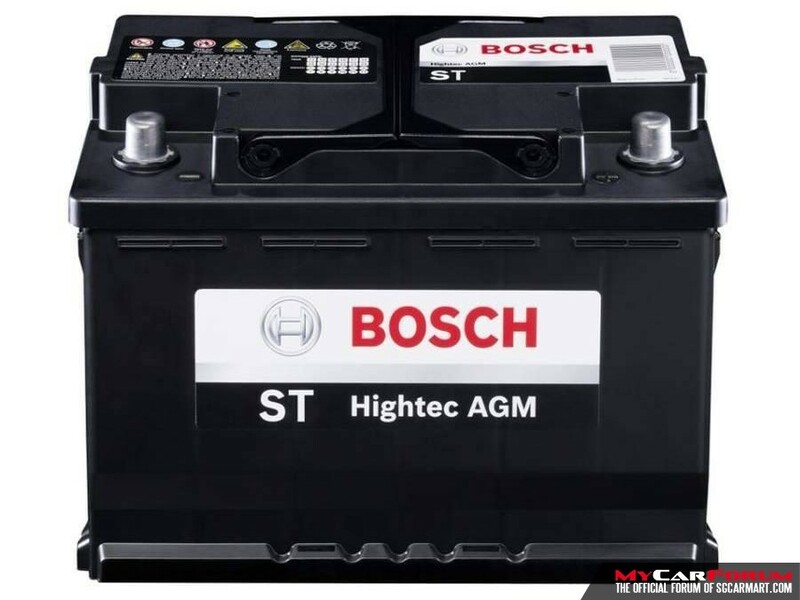 Vehicle category, electronic equipment, driving style as well as the climate influence the choice of battery. With the three lines, Bosch offers a tailored program for the individual needs of every vehicle. A battery that meets the high quality demands of international original equipment as regards cold start and capacity. 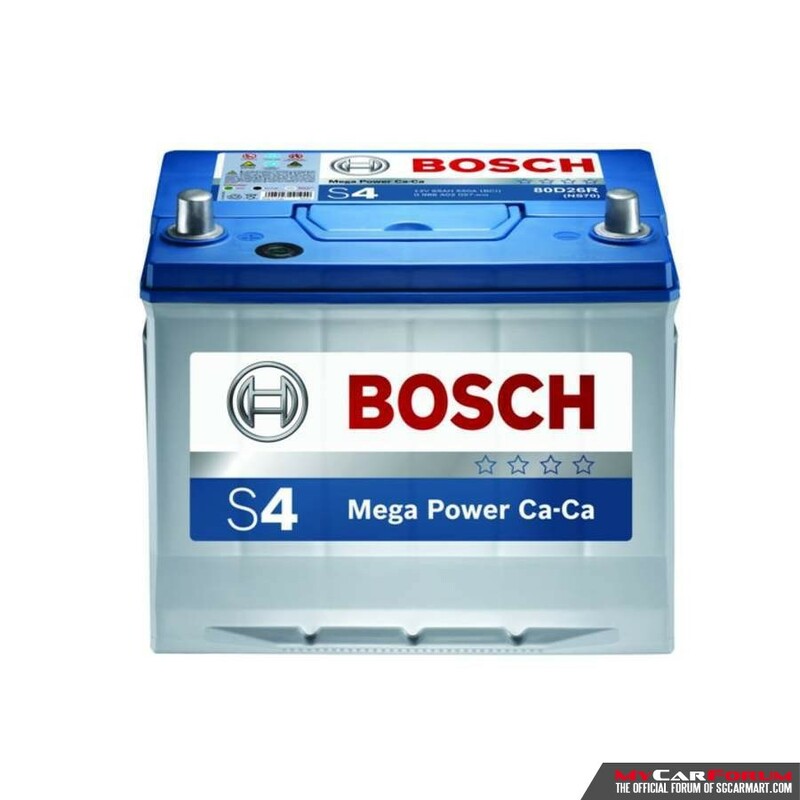 The S4 is for most vehicles with a moderate amount of electrical equipment. 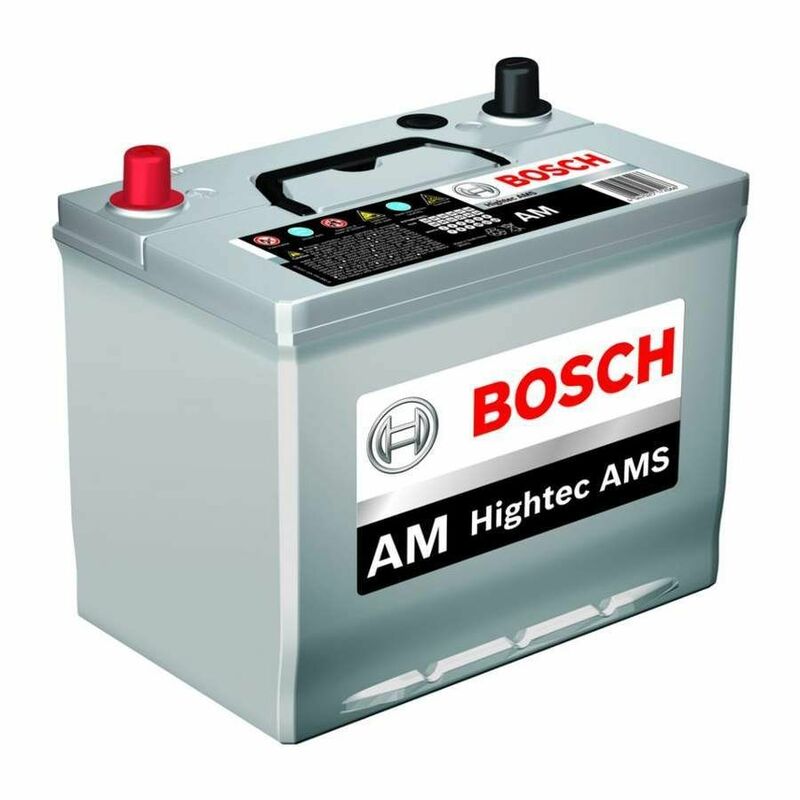 I am interested in the "Bosch Battery".